The art of Nippon Kenpo was founded in 1932 by Master Muneomi Sawayama at Kansai University in Osaka, Japan. 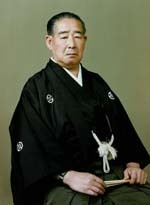 Master Sawayama’s ancestry is of Samurai origin so his philosophy is one of honor. It combines Aikido, Boxing, Karate, Judo, and Jujitsu. The protective gear, called BOGU, is derived from the Samurai. It consists of a MEN (face protector), DO (chest protector), MATATE (groin protector), and gloves. Nippon Kenpo was brought to the United States in 1960 by one of Master Sawayama’s students, Goki Kinuya. Since then many Nippon Kenpo masters followed, further fostering Nippon Kenpo in Southern California and in other parts of the country.